i’m very new to the hole art-thing. As the learning-process feels a little bit lonely i wanted to start an open Sketchbook here to share my studies and practices, hoping for many comment and critique. Ps: I’m realy sorry, if my english reads a little bit horrible, as i it is not my natural language and i use it unfrequently. Hope to improve it. Yesterday i had a bid of time to improve the model, by adding legs. There is something that looks slightly weird on her, but i cant tell exactly why and what. So any tips would be highly appreciated. Continued my journy with Valentine (thats what i called her). I refined the forms where the legs meet the torso, builded up the masses for the arms and builded up basic head-structure. Overall, i got her way better. Not good at all, but i’m not finished yet. I zremeshed a duplicate of the model to about 20k-polys, did supdivide it twice and projected details of the dynamesh back on the Subdiv-level. 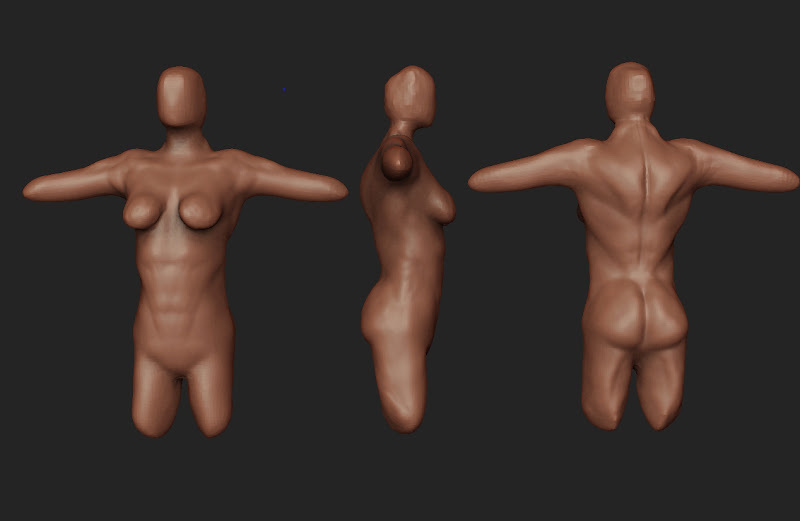 Then if refined the whole model using the Clay-, Smooth-, Move-, Inflate- and Smooth-bruhes. Now i have to think about the hand and feet. 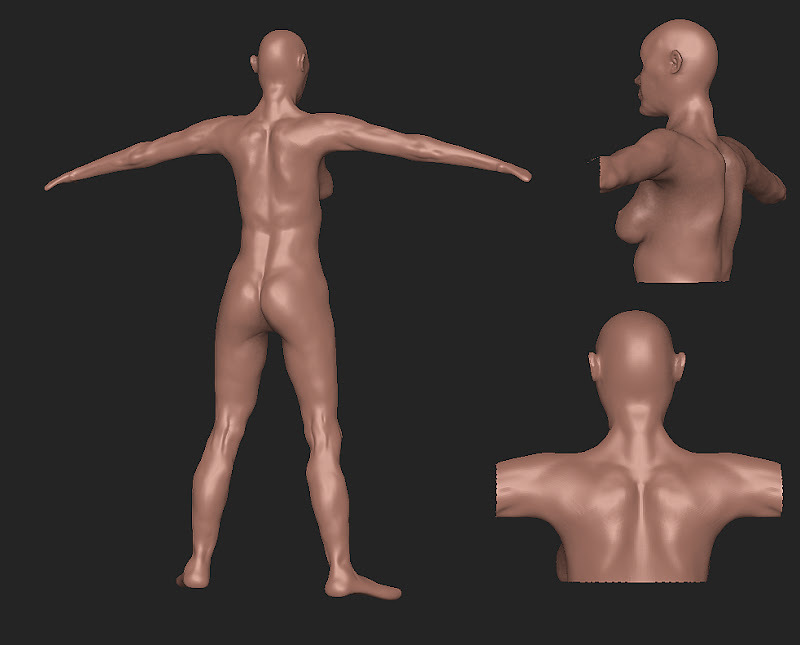 Next thing, i want to do is mergin the body-subtools and remesh it as a whole. 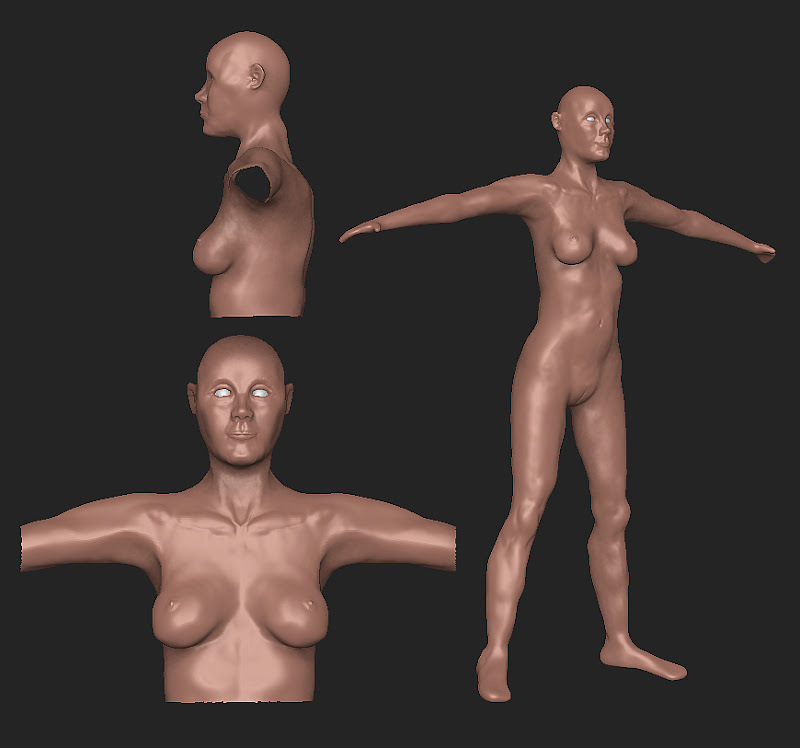 Then i can get rid of the seams over the hand/feet and do some refinements around them. 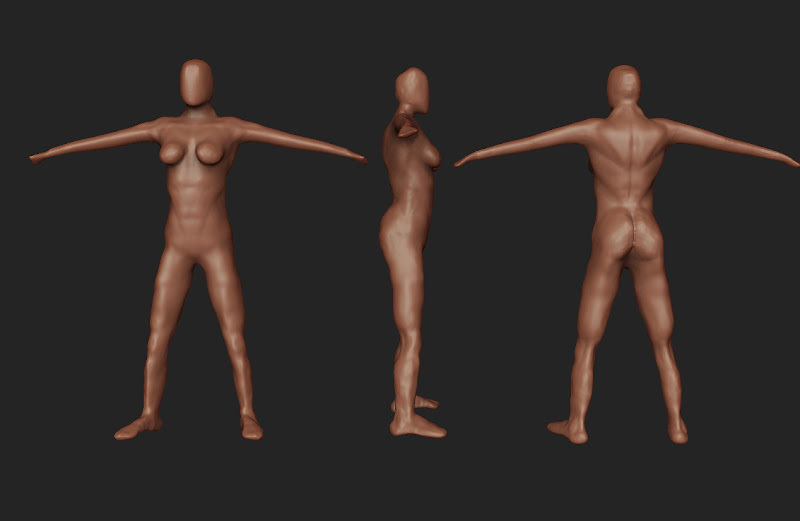 After that i want to create a Zshpere-Rig for her, so i can create some poses to sculpt on. For refreshing creative batteries for the work on valentine, i took a break on her and created “The sceptical ogre” in a “workshop” from the Characters&Creatures-book by 3dtotal-puplishing.